I love bath products. It's a horrible curse really, because I have extremely sensitive skin. More sensitive than most newborns, it seems. So it limits my choices and leaves me with a super long list of "I want that" bath and body items. And the item in today's feature? I'm very tempted to try even with that pesky skin problem of mine. What these are (see the picture?) is felted bath soaps created by Becky Rose Designs on Etsy. "Felted soap functions as a built in washcloth just wet, rub a little to get sudzy and use! As the soap is used up the felt casing will shrink with it until it gets very small allowing you to use every last bit as well extending the life of your soap. Isn't that a terrific idea?? They also come in a variety of colors and a huge selection of scents including Leinkugels Honey & Berry Weiss (beer soap), Pumpkin Crunch Cake, Chai Tea, Cucumber & Oats, Juniper Breeze, Jack Frost (minty), Lime Twist, Pomegranate, Melon Blast, Lavender, Calendula & Orange Blossom, Rose & Pomegranate, Vanilla Coffee and Almond Joy. Becky Rose Designs doesn't make just felted soaps either, it's just what caught my eye personally and drew me in! 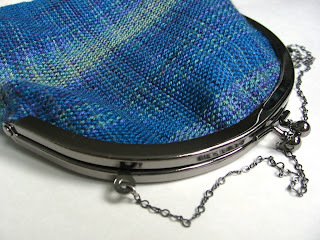 The shop is full of handwoven chenille scarves, jewelry, clutch purses and more. So stop by and take a browse around and I bet you'll find something that catches your eye too. 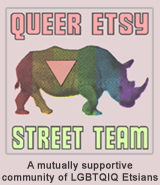 YOU CAN CLICK ON THE PICTURES ABOVE TO VISIT BECKY ROSE DESIGNS' SHOP ON ETSY AND TAKE A LOOK AROUND OR, IF YOU PREFER, CLICK RIGHT HERE. That's a cool idea with the felted soaps, although I admit that the idea of using a pouch I've been scrubbing all over my dirty body to keep something special in...is not all that appealing. Wow, what an incredible, original idea! 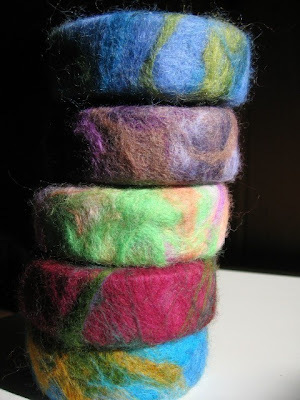 The felted soaps are so beautiful, and I love the way they function as a washcloth. Amazing! how lovely is her store. ive bought felted soaps before from a UK seller, i just love the concept!